“My Higher Power is: Science!” proclaims Sean, a newly recovered alcoholic. “Sean” is the lead character in a comedic play, “The White Chip,” which premiered last year at Merrimac Repertory Theatre outside of Boston, Massachusetts. 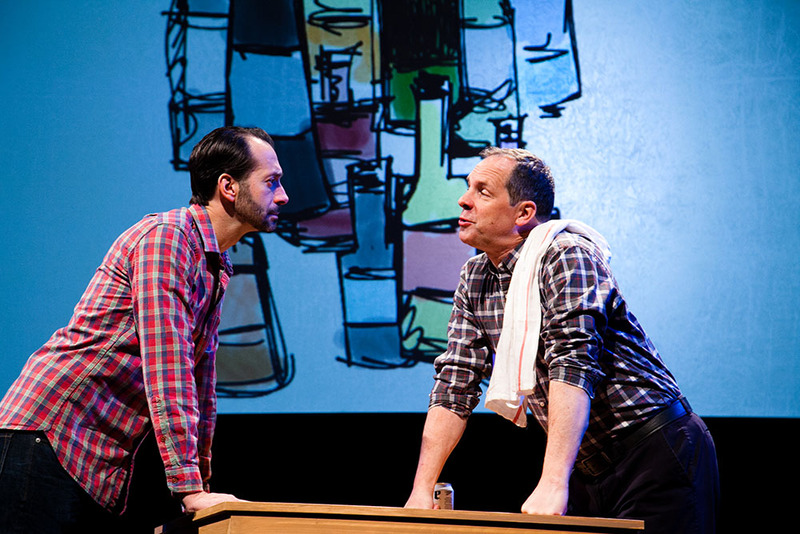 Written by Sean Daniels, the play dramatizes Daniels’ own near demise from alcoholism, and his experience of recovery. 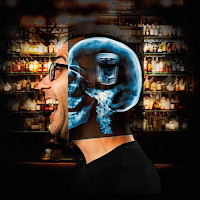 Neuroethics is writ large as the play tells the story of how critically important various addiction etiologies can be for those struggling with alcoholism, or addiction of any sort. In Sean’s case, the etiology is the brain disease model of addiction (BDMA) in a notable combination with the “Higher Power” understanding of 12-step programs, which he credits with saving his life. 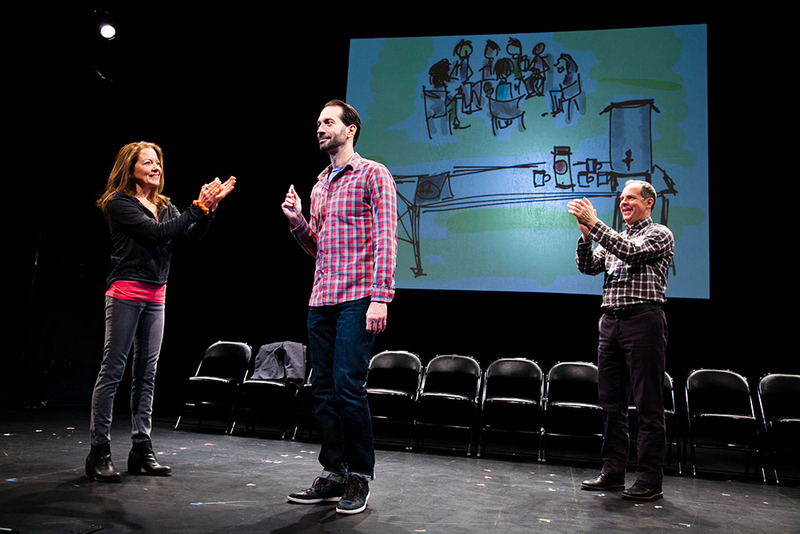 Behind the curious twists of the play, questions linger: which model of addiction should be presented to those in recovery, when so much conflict exists amongst addiction researchers, clinicians, and recovery care providers? At what point does an effective (potentially life-saving) narrative of addiction etiology supersede the obligation to provide all sides of the controversial matter of addiction modeling? When Sean “hits bottom,” he has destroyed his career, his marriage, his health, and nearly lost his life while driving drunk. He enters a rehabilitation facility, but struggles with the suggestion that he find a “Higher Power.” Such a practice is reflective of the metaphysical claim central to Alcoholics Anonymous, and every other 12-step program: surrender to a Higher Power of the addict’s understanding, and is perhaps the most significant distinguishing feature separating 12-step methods from other recovery pathways. Perhaps most notable in Sean’s struggle is that he did not see his inability to assent to any sense of a Higher Power as mere philosophical or theological discrepancy. After trying everything, he believed he needed some sort of dramatic internal change, and that his very life hung in the balance. Finally, Sean meets a different group of A.A. veterans who proclaim to Sean that what he really needs is “Science,” and to understand the chemicals in his brain. The word “brain” occurs 17 times following this scene. In a line that seemingly summarizes Sean’s success in finding sobriety, he says: “People ask me, why did it stick that time? I believed in something larger than myself. My higher power is: science. It’s my faith in science that keeps me sober.” Sean’s Higher Power is the neuromechanisms (“science”) of his own “brain”, which ostensibly has more power than he does, and “wants the best” for him. Britt’s decision to introduce Sean to a particular A.A. group of predominantly Jewish men led to the inner experience/realization that Sean credits with saving his life. Actors Jeff Binder and Ben Evett in "The White Chip." Image courtesy of photographer Meghan Moore. Across medical and social scientific literature, an inverse relationship between spirituality and substance abuse consistently characterizes research findings on recovery from substance use disorders (Geppert et al., 2007; Cook, 2004; Swora, 2004; Dermatis & Galanter, 2016; Ross 2013). Sean’s case is an interesting illustration of this finding, while also mirroring another finding: that the BDMA is immensely prominent in popular and medical discourse, as well as in research funding priorities for addiction. Notably, the BDMA cannot be traced back to a particular group of scientists, a common thread of articles, or research findings. The most identifiable pivot point for the growth of the BDMA is the former Director of the U.S. National Institute on Drug Abuse (NIDA) Alan Leshner’s landmark 1997 Science cover story, “Addiction is a brain disease, and it matters.” In that essay he argues that addictive drugs “hijack the reward centers of the brain” (p. 45). Within several months of Leshner’s article, Bill Moyers used the phrase “hijacked the brain” in 1998 on a PBS television series on addiction, citing Leshner (Lewis, 2015, p. 17). Several historians and researchers of addiction have noted the way in which “hijack” stayed in the vocabulary of addiction for many years after that (Campbell, 2007, p. 201). Along with Lende, others have pointed to the problems with the BDMA as a premise for research and/or public understanding of addiction. A fascinating chain of conversations published in the prestigious journal Lancet Psychiatry made public the debates about the validity and value of the BDMA. A NIDA publication preface by Volkow illustrates NIDA's reliance upon the premises of the BDMA, with bold claims like, “As a result of scientific research, we know that addiction is a disease that affects both the brain and behavior” (Volkow, 2014). Many social scientists refer to the BDMA as the “NIDA paradigm” (Dunbar, Kushner & Vrecko, 2010, p. 3). When challenged on the lack of conclusive evidence for the BDMA, Volkow’s chief defense is a pragmatic one: that the BDMA frees those suffering from addiction from the shame of morality models of addiction, which continue to linger. The loudest response to this argument comes from neuroscientists and others who argue for something along the lines of a “learning disorder” model of addiction. Marc Lewis, a neuroscientist who struggled with drug addiction in his 20s, argues that "the disease idea is wrong...Medical researchers are correct that the brain changes with addiction, but the way it changes has to do with learning and development -- not disease” (2015, p. xi). Lewis’ concerns are reflective of questions raised by other scholars, such as psychiatrist Sally Satel and psychologist Scott O. Lilienfeld (2013, 2014). However, Volkow’s point remains: to claim that addiction is a disease rooted in brain mechanisms seems to carry far more weight with people trying to recover, and those surrounding them. LENNY: Here’s the truth - Dopamine is the chemical that when it’s released in your brain, you feel great. The drug that’s been in your brain since you were born. STUART: Your brain is always trying to maintain balance, and therefore the more you drink, the less dopamine your brain releases. LENNY: Your brain doesn’t believe you. So, on Day 2 of sobriety you have no alcohol and no dopamine from your brain, because it’s sure the alcohol is coming. STUART: So, you feel terrible. LENNY: Your body is signaling you that it needs you to hold up your end of the current destructive bargain. LENNY: That spiritual awakening most drunks feel around Day 90 when they look up and suddenly the sky is bluer and everything seems like it’s gonna work out, and they get on their knees and thank god -- that’s chemistry. STUART: That’s your brain FINALLY believing you that you won’t drink and therefore it releases chemicals into your brain to maintain balance. LENNY: Yes, you will walk out the door and suddenly feel light and notice trees and children and feel happy to be alive, and that MAY be god, but it is definitely chemistry. Just stop drinking for 90 days and let science save your life. …LENNY: Don’t worry kid -- most people are dopamine junkies -- they just think it’s free will. …LENNY: So, to stay sober, you have to fight your own brain. Fight chemistry with reason. SEAN: ... It’s my faith in science that keeps me sober. Though it seems to work for the vast majority, and I never try to talk anybody out of it -- ever ever ever - it does make you think, how many people are like me, and then don’t make it because we lead with God and not with science? Does belief in one exclude the other? Actor Jeff Binder, playing "Sean" in "The White Chip." Whether or not these beliefs and etiologies about the nature of addiction exclude one another, it is illuminating to hold the example of Sean alongside the stacks of literature and research debating various models of addiction. 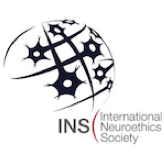 At its best, neuroethics often takes up the task of performing reflexivity for the field of neuroscience, urging a critical look at the presumptions on which the discipline is based, and the repercussions of them. For addiction, what are the repercussions of what Vidal (2009) notes is the dominating presence of “brainhood” in contemporary discourse, in which the modern self operating principally as a “cerebral subject”? Sean’s case is a fascinating portrait of personifying “science” as an entity, and a trustworthy belief system of sorts, while also viewing his “brain” as an entity simultaneously identical with his self, while also separate. In some ways, Sean’s contradictory view of himself calls to mind what Jan De Vos (2016, p. 26) describes as “the situation of the colourful brain scan engendering an oh-my-god-is-this-what-I-am subject.” In other ways, it is a reminder that we all carry with us, in our views of the world and ourselves, various paradoxes and contradictions. In the end, what responsibility do clinicians and caregivers have, in providing care and recovery options, to offer multiple models and etiologies of addiction, for people who struggle like Sean? It seems that if saving lives is our top priority, then finding the models that are most compelling for each individual struggling to recover is a worthy consideration. Campbell, N. D. (2007). Discovering addiction? : The science and politics of substance abuse research. Ann Arbor, MI: University of Michigan Press. Campbell, N. D. (2010). Toward a critical neuroscience of “addiction.” BioSocieties, 5(1), 89–104. Cook, C. C. H. (2004). Addiction and spirituality. Addiction, 99(5), 539–551. De Vos, J. & Pluth, E. (2016). Neuroscience and critique: exploring the limits of the neurological turn. Abingdon, UK? ; New York: Routledge. Dunbar, D., Kushner, H. I., & Vrecko, S. (2010). Drugs, addiction and society. BioSocieties, 5(1), 2–7. Earley, P. H. (2017). RecoveryMind Training: A neuroscientific approach to treating addiction. Las Vegas: Central Recovery Press. Geppert, C., Bogenschutz, M. P., & Miller, W. R. (2007). Development of a bibliography on religion, spirituality and addictions. Drug & Alcohol Review, 26(4), 389–395. Dermatis, H., & Galanter, M. (2016). The role of twelve-step-related spirituality in addiction recovery. Journal of Religion and Health, 55(2), 510–521. Hall, W., Carter, A., & Forlini, C. (2015a). Brain disease model of addiction: misplaced priorities? The Lancet Psychiatry, 2(10), 867. Hall, W., Carter, A., & Forlini, C. (2015b). The brain disease model of addiction: is it supported by the evidence and has it delivered on its promises? The Lancet Psychiatry, 2(1), 105–110. Khantzian, E. J. (2003). Understanding addictive vulnerability: An evolving psychodynamic perspective. Neuropsychoanalysis, 5, 5–21. Koob, G. F., & Moal, M. L. (2005). Neurobiology of addiction (1st ed.). San Diego: Academic Press. Lende, D. H. (2012). Addiction and neuroanthropology. In D. H. Lende & G. Downey (Eds. ), The encultured brain: an introduction to neuroanthropology (pp. 339–362). Cambridge, MA: MIT Press. Leshner, A. I. (1997). Addiction is a brain disease, and it matters. (Cover story). Science, 278(5335), 45–47. Lewis, M. (2015). The biology of desire: Why addiction is not a disease. New York: PublicAffairs. O’Connor, R. (2015). Rewire: Change your brain to break bad habits, overcome addictions, conquer self-destructive behavior (Reprint ed.). New York: Plume. Ross, S. (2013, April). Psilocybin, addiction, and end of life. Presented at the Psychedelic Science Conference, Oakland, CA. Satel, S. L., & Lilienfeld, S. O. (2013). Brainwashed: the seductive appeal of mindless neuroscience. New York: Basic Books. Satel, S., & Lilienfeld, S. O. (2014). Addiction and the brain-disease fallacy. Frontiers in Psychiatry, 4. Spiegelman, E. (2015). Rewired: A bold new approach to addiction and recovery. Hobart, NY: Hatherleigh Press. Swora, M. G. (2004). The rhetoric of transformation in the healing of alcoholism: The twelve steps of Alcoholics Anonymous. Mental Health, Religion & Culture, 7(3), 187–209. Szalavitz, M. (2016a). 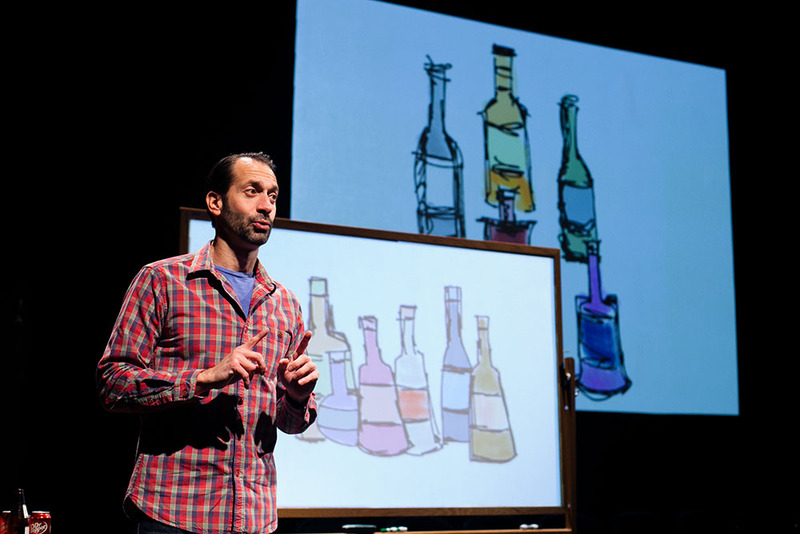 Unbroken brain: A revolutionary new way of understanding addiction. New York: St. Martin’s Press. Trujols, J. (2015). The brain disease model of addiction: challenging or reinforcing stigma? The Lancet Psychiatry, 2(4), 292. Vidal, F. (2009). Brainhood, anthropological figure of modernity. History of the Human Sciences, 22(1), 5–36. Volkow, N. D. (2014). Preface: How science has revolutionized the understanding of drug addiction. 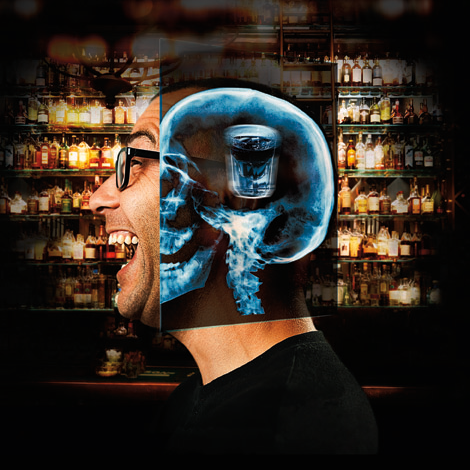 In Drugs, brains, and behavior: The science of addiction. Washington, DC: National Institute on Drug Abuse. Volkow, N. D., & Koob, G. (2015). Brain disease model of addiction: why is it so controversial? The Lancet Psychiatry, 2(8), 677–679.